Cloverleaf Tool Company - Vactor Replacement Parts,Vaccon Replacement Parts, Aquatech, Camel, Hivac Replacement Parts, MYERS,FMC, GASO,BEAN,VACTOR,VACCON PUMPS and more. 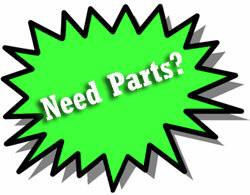 • Baird Green Top Valves • Knife/Lever Action Brass Valves • Handguns • Plus Many Other Parts. Our Business Is Jetting & Jet/Vac Cleaning & Maintenance Equipment. We Have Many Products That We Sell That Are Not In The Catalog. And We Will Be Happy To Help You Find What You Are Looking For.